In our move to Denver a few years ago, we experienced what could only be described as “The Hunger Games: Rental Home Edition.” The rental market was so competitive and rentals were so expensive that we ended up living in a hotel for two months while we tried to find a place to call home in the Mile High State. Each morning I would wake up and scour various home rental websites to see any new listings that may be available and if we found any we liked, we would run around town checking out open houses. Decide what you want to pay – It will be important to decide what your rental budget is BEFORE you start to look at listings. Once you set your buget limit, you can only search for houses in that limit and you won’t waste time looking at beautiful houses that are too much money. Rethink your searching – Instead of just searching for “rentals in (your new city)” try searching for “property management companies in (your new city. 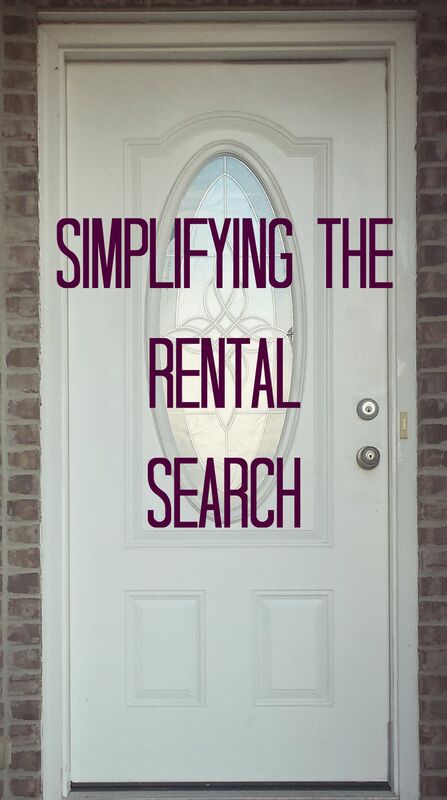 )” You can find several local management companies with unique rental listings by searching this way. Don’t get scammed – We’ve all heard about annoying online scams, but unfortunately, they are real and there are way too many of them out there in the rental world. Many times listings will say that the owner is out of the country for a certain amount of time and they just need someone to look after home while they are gone. The scam houses are beautiful and large and they are renting for dirt cheap. Just try to remember, if it sounds too good to be true, it probably is. Check with an expert – In some parts of the country, a real estate agent is necessary in order to see listings. Even if it isn’t required, an agent can be a great resource and may even be able to connect you to homeowners who planned on selling their home, but may be interested in renting it to you instead. Jump on it! – Once you find a reputable rental that fits your needs and your budget, get after it. In most markets, you are not the only one that will be interested in it, so be sure you get applications turned in or make the appropriate contacts so that you can be the one living there. It can be difficult to not think that there may be the perfect rental just about to go on the market, but at some point, you just have to go for it and choose your house. Remember, the faster you find a home, the sooner you can start meeting your neighbors.